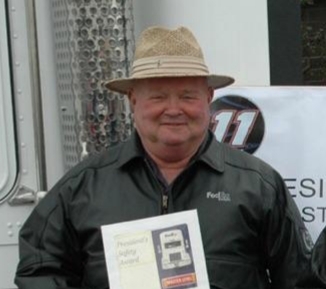 Retired, Viking Freight/FedEx Freight, Charlie Kilgore has passed away 8/6/18. Charlie was a straight up guy. He was one of my mentors when we were organizing Viking back in the day. He taught me not to take any BS from any corporation. And opened my eyes that a Union was. and still is, an important thing to have at the workplace. Change FedEx to Win sends our thoughts and prayers to Cathy Kilgore and the entire Kilgore family. Killer was a straight up man, never took crap from anyone, gave a lot of good advice to all Old Viking Freight colleagues till the last new FedEx member...Employee # 900 Original Old Viking Blue will be Miss. My Deepest condolences and prayers to the Kilgore family.